7. increased susceptibility to disease." Maximum Efficiency with Minimum Disturbance. More detailed information about the Turfdry Drainage System can be found here. A new drainage system represents a considerable long-term financial investment for any rugby club. Assistance with funding for new rugby pitch drainage can be sought from various sources. Even with good drainage installed, it is crucial to adopt good maintenance practices to ensure that optimum efficiency is obtained the Turfdry Drainage System in the decades after its installation. 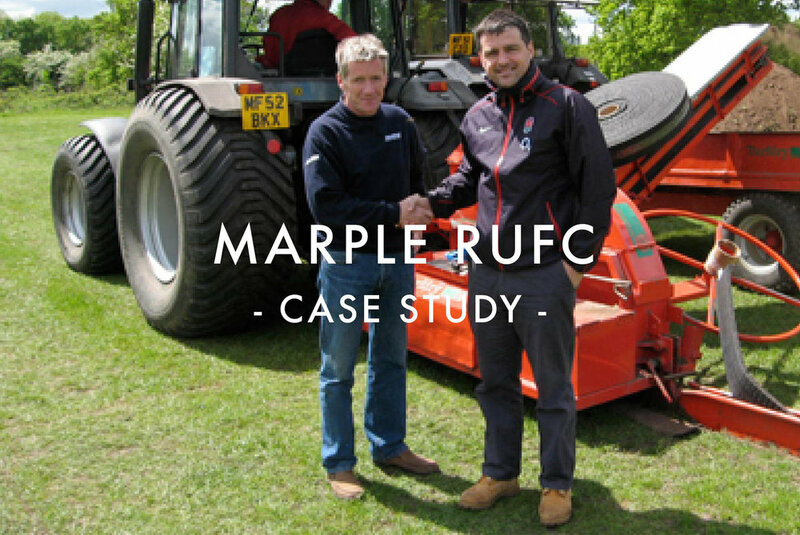 The RFU has established 'Rugby Groundsmen Connected' to help spread best maintenance practices throughout rugby clubs in England, and includes access to valuable resources such as RFU Head Groundsman, Keith Kent’s month by month guide to rugby pitch maintenance.